Expansin is a non-enzymatic protein which plays a pivotal role in cell wall loosening by inducing stress relaxation and extension in the plant cell wall. 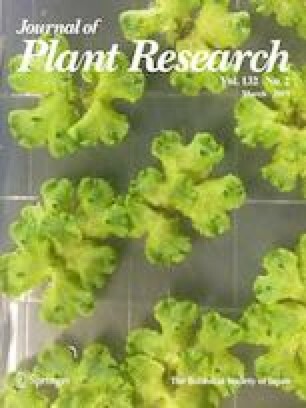 Previous studies on Arabidopsis, Petunia × hybrida, and tomato demonstrated that the suppression of expansin gene expression reduced plant growth but expansin overexpression does not necessarily promotes growth. In this study, both expansin gene suppression and overexpression in dark-grown transgenic Arabidopsis seedlings resulted in reduced hypocotyl length at late growth stages with a more pronounced effect for the overexpression. This defect in hypocotyl elongation raises questions about the molecular effect of expansin gene manipulation. RNA-seq analysis of the transcriptomic changes between day 3 and day 5 seedlings for both transgenic lines found numerous differentially expressed genes (DEGs) including transcription factors and hormone-related genes involved in different aspects of cell wall development. These DEGs imply that the observed hypocotyl growth retardation is a consequence of the concerted effect of regulatory factors and multiple cell-wall related genes, which are important for cell wall remodelling during rapid hypocotyl elongation. This is further supported by co-expression analysis through network-centric approach of differential network cluster analysis. This first transcriptome-wide study of expansin manipulation explains why the effect of expansin overexpression is greater than suppression and provides insights into the dynamic nature of molecular regulation during etiolation. The online version of this article ( https://doi.org/10.1007/s10265-018-1067-0) contains supplementary material, which is available to authorized users. We would like to thank members of the Genomics and Bioinformatics lab for advice and help throughout the project. This research is funded by Fundamental Research Grant Scheme (FRGS/1/2013/ST04/UKM/02/1) from the Malaysian Ministry of Higher Education. Conceived and designed the experiments: IAI, HHG. RNA-seq analysis: IAI, HHG. Performed the experiments: IAI. Analysed the data: IAI, HHG. Co-expression analysis: KN, KY, NJ, KM. Wrote the manuscript: IAI, HHG. Reviewed and edited the manuscript: HHG, KM, SNB. All authors read and approved the final manuscript.